In thinking about an article on pharmacy metrics, the following quote from Albert Einstein comes to mind: “Not everything that can be counted counts, and not everything that counts can be counted.” It is certainly possible to overstate the importance of some metrics. It is possible to use them inappropriately, misunderstand them, abuse them, rely on them too much and even use them as a whip. That said, used appropriately, the “numbers” often tell a compelling story. Those who fail to listen often pay the price. Managing a retail pharmacy operation requires becoming familiar with some important metrics that are frequently used to measure the overall health and success of the business. This article is just an introduction to some of the most common ones. This post is for beginners. For those who own and operate their own pharmacy, there will certainly be other numbers that are crucial to keep an eye on. But for those who are new to the retail pharmacy practice setting such as newly graduating students, pharmacists transferring in from other career avenues, or pharmacists who have worked in staff positions that did not require a focus on the numbers…this article is for you. The following are arguably the 10 most fundamental metrics which virtually any retail pharmacy needs to keep an eye on. There are others. This article isn’t intended to exhaust them. I am specifically thinking about those numbers that are related to the prescription filling side of the business. OTC (over the counter) sales are critical, inventory turns are important, sales per hour is useful, and many other numbers could be discussed. But for now, I will limit our focus on these 10 things. I put this one first, not out of importance, but because it is almost universally embraced as the Holy Grail of success. It isn’t as important as some people would like to think. 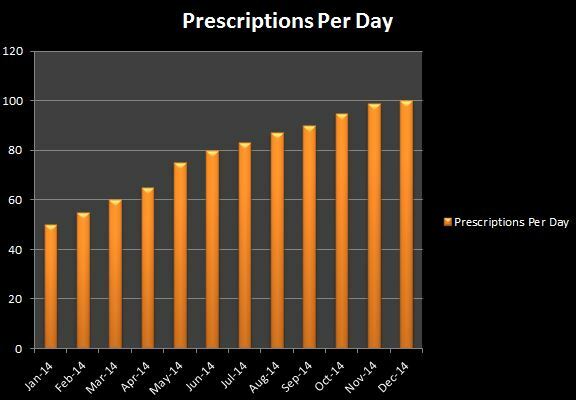 But basically this metric is the measure of the total number of prescriptions actually filled per day, on average. Typically this number is arrived at by dividing the number of prescriptions filled in a given month by the number of business days during that month. Although such a number is useful in describing the overall trend of a business, it can be much more valuable (in my opinion) when it is broken down by days of the week so that the business manager can easily see which days of the week are the busiest (and follow the trend). Additionally, for newly opened pharmacies, keeping an eye on weekend prescription volume is important when making decisions about your hours of operation. 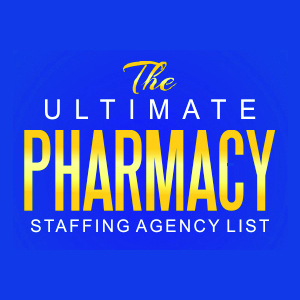 Prescriptions per day will likely play a major role in your staffing allowances if working for a chain. As the number grows, your budgeted support staff such as technicians and cashiers and additional pharmacists will (or should) grow too. Unfortunately, in keeping with the above example, when Mr. Smith runs out of refills on his lisinopril and the doctor must order it again, it will be counted as a “new” prescription for that first fill. Most software systems won’t distinguish between this “new” prescription (which is really just a continuation of his therapy) and any other “new” prescription. Nevertheless, although not perfect, the overall trend of new and refill prescriptions is important. “New” prescriptions are sometimes indications of new patients (not always) and a growing customer base. We like to see both numbers going up. If 1 or the other begins trending downward, then we have some more research to do in order to find out why. As a side note, many pharmacy software systems can keep track of “new” patients added to the system every day. That metric gives a better picture of whether your customer base is growing. Just filling prescriptions, even a lot of prescriptions, doesn’t guarantee financial success. As important (and I think even MORE important) is the average price and margin of your prescription business. The average price is just the overall average total price (reimbursement plus any copays) for every prescription. It is simply achieved by dividing the total Rx revenue (reimbursements plus copays) by the number of prescriptions in a given day or given month. Your margin is just the difference between the cost and the revenue. Which would you rather do? 200 prescriptions per day with an average price of $10 and average margin of 15% OR just 50 prescriptions per day with an average price of $85 and a margin of 10%? Of course you realize that the second option is better. A pharmacy can be working itself to death focusing on growing low price prescriptions with a mediocre margin. Targeting higher ticket sales with reasonable margins gets more bang for your buck. Work smarter not harder. For even better information, the average price and particularly average margin can be looked at plan by plan to see where your best (and worst) prescription business is coming from. Due to declining margins on prescription drugs, cash customers are often more valuable to the pharmacy business. While some insurance plans actually reimburse pharmacies below their cost, the cash business allows most pharmacies to offer a good, fair price and still make money. A “cash” prescription is simply a prescription that is not billed to any insurance company. It is paid for in full by the patient at the time of dispensing. This means that the pharmacy is not left waiting 30, 60 or 90 days for their money from an insurance company. Having full payment for your medication immediately tends to help with “cash flow” (a concept for another article and another time). Suffice it to say that a pharmacy needs enough “cash” on hand to pay employees and bills in order to stay open. Just like every prescription we fill is either a “new” or “refill” prescription, so every prescription is also either a “brand” or “generic” drug. Okay, if we have any advanced readers here they may want to dispute this simplistic distinction since their are “branded generics” and so forth. But let’s try to keep it simple. It’s a good distinction. Years ago when generics almost always provided much better margins, the amount of business done in generic prescriptions was very important. Pharmacists also played a key role in educating people on the fact that generics were equally effective (almost always) to their brand-name counterparts. Driving business toward generic utilization was critical for success. Today, however, declining generic margins make this metric a little less critical. Nevertheless, pharmacy owners and businesses still have a bit more control over what they pay for generics and can work out buying contracts to maximize their discounts. Hard working wholesalers can help pharmacies lower their costs on generics. For the chain drug stores, most of this is done through exclusive contracts with one generic manufacturer over another. Einstein was right. Not everything that counts can be counted. There is much more to making a successful pharmacy than the prescription filling metrics. However, no business will ultimately succeed without them. Arthur Nielsen put it this way “the price of light is less than the cost of darkness.” These numbers help turn on the lights. Tomorrow we’ll discuss the next 5 metrics often used in a retail pharmacy business. As an ops guy, I love this post. Many pharmacists hate the focus some corporations have on metrics (and you could argue that some focus solely on them) but I try to explain that to stay in business every pharmacist should keep an eye on them.